Ray-Ban are unquestionably one of the coolest makers of sunglasses on the planet but they just got a little cooler with the introduction of these mightily impressive leather wayfarer sunglasses. Wayfarers are one of the most timeless and stylish forms of eyewear on the market and boast the sort of visual appeal that makes them popular all over the world but this new leather bound offering from Ray-Ban has just bumped them up the style stakes still further. Updated for a new generation of sunglasses fans, the leather Ray-Ban wayfarers are by no means cheap but they are retro in style and impressive in appearance to say the least, so if you’re on the lookout for a pair of sunglasses that will make you stand out from the crowd a little, then these are surely it. 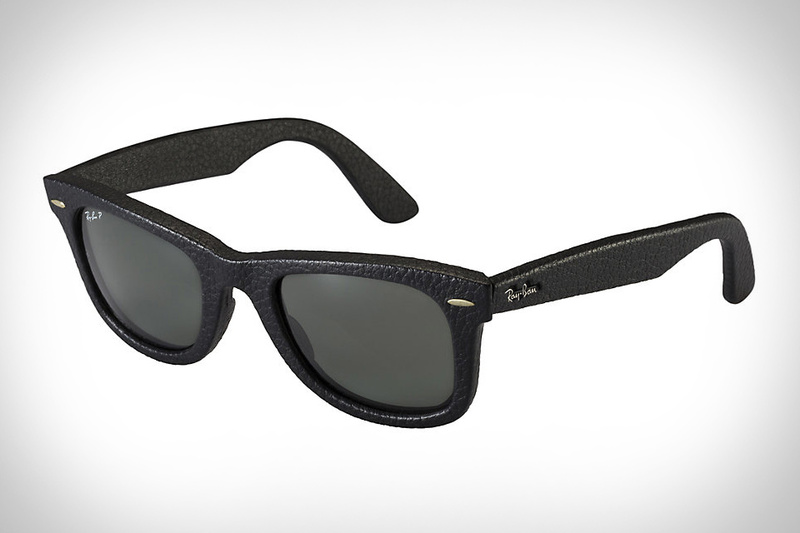 Ray-Ban has designed these wayfarers with the same retro silhouette that has been around since 1956 and they are crafted from genuine calf leather. You can pick up a pair in either black or brown depending on your own particular style persuasion and these superb sunglasses have either brown or green neophan polarised lenses so you will be the coolest cat on the beach in 2014. See more Ray-Ban sunglasses online at Barnard Levit.